Textures not showing on func_respawnroomvisualizer?? Discussion in 'Mapping Questions & Discussion' started by Riever, Aug 8, 2012. 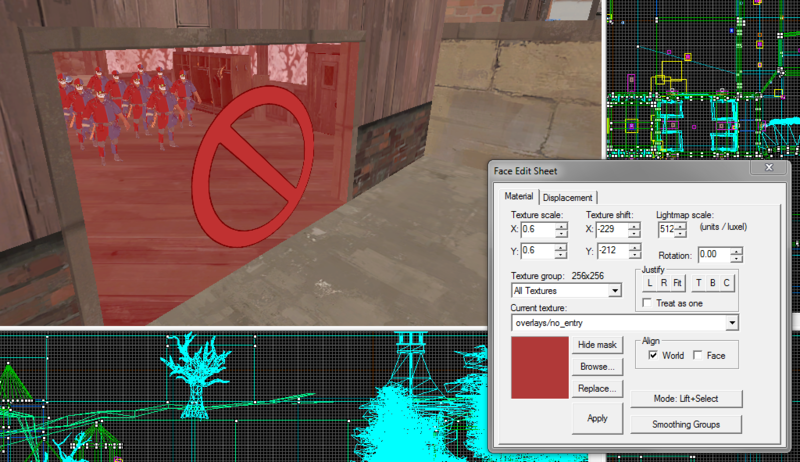 Could someone suggest why I cannot get the noentry overlay to show on my func_respawnroomvisualizer's? They are set to the correct spawn rooms, they stop the enemy, but the texture is just not showing. I tried copying some from Valve maps (which work) to mine and they still don't show the noentry texture. The texture shows fine in Hammer, just not in the game. 1. The texture is applied to the brush face as a texture, not as an overlay. 2. You are on the opposite team of the visualizer's respawn room setting (ex. BLU if it's blocking a RED respawn room). Does the brush itself work? Does it block enemy players? Is it only the texture that is showing up or is the entire entity not working? Thanks for the heads up on the overlay - how do I make sure? I hit ctril-a, picked the texture and then right-clicked on the face to apply it. Basically the same way as I've applid all the textures. The entity works and blocks the opposing team - the texture is just missing so you run into an invisable wall without warning. Well, if you didn't place an overlay, it isn't an overlay. I think once when I had this problem the visualizer was parented rather than associated to the respawn room, or I had named something funny, or both. The flag Ignore player +USE is ticked. None of these enties are showing the texture and changing the texture to something else has no effect. Very odd. That looks right, but rereading your post above mine makes me think you didn't actually texture it correctly. Select the brush, make it nodraw. 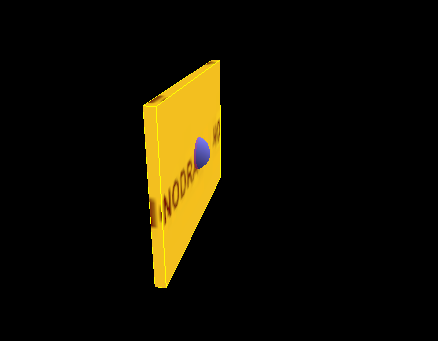 Then with the Face Edit box still open, click on just the front face and change it to the no_entry texture. As you can see, the rest of the brush is still nodraw. Sorry if that's what you did, but it doesn't sound like that's what you did. Also, check if you messed up with the incredibly unlucky setup where you managed to exactly stretch the transparent part of the texture over the whole face. Yeah, takes skill to screw up that way. And for once I am not speaking from experience. Many thanks for the help yyler. I don't know what I did wrong but followed your instructions and got one of the 6 on my map to work. The others still refused to show the texture - despite following the post. So I deleted them and copied the one that works to get all 6 to show the texture. No idea why they didn't 1st time or why I could only get one to work by following your help.